Patient with a central tumour of the right lung underwent evacuation of pleural fluid. However, following this procedure, he developed a pneumothorax - see air-fluid level in the right hemithorax on second radiograph. 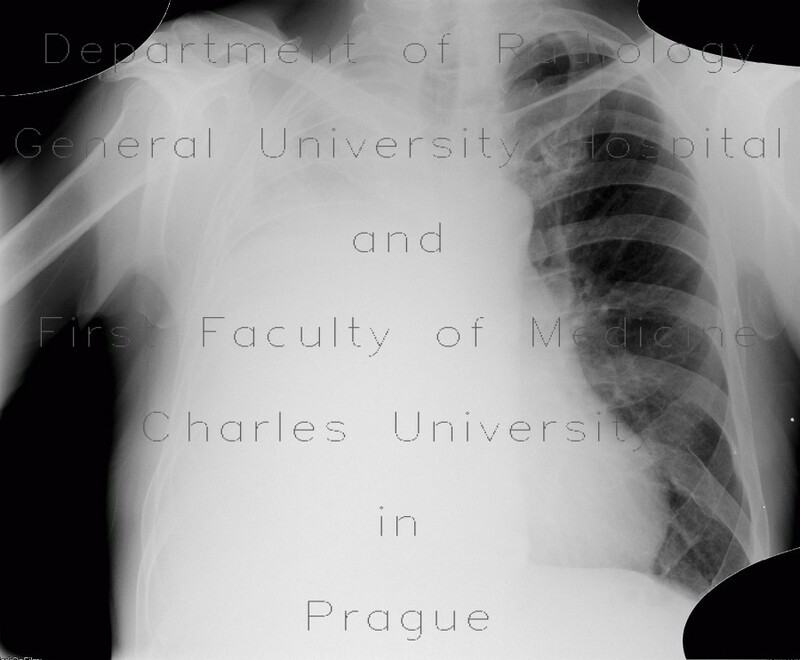 Pneumothorax was resolved by insertion of chest tube and pleural drainage. On the last two images, a central mass in the right hemithorax, which was previously obscured by pleural fluid, can now be appreciated.